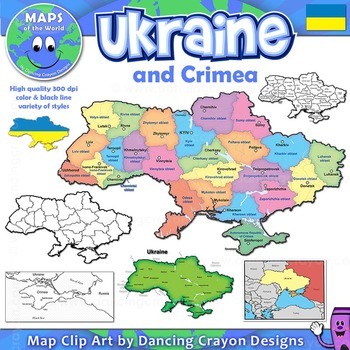 A colorful map clip art set of the country of Ukraine. 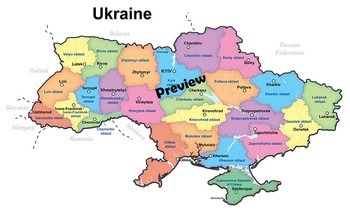 Spelling of place names on this map are in Ukrainian English. 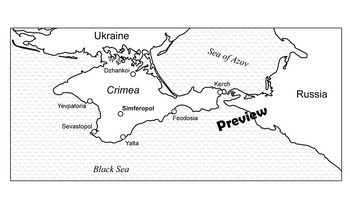 The maps and spellings have been checked and edited by a Ukrainian national. Due to the current situation in this region, please check the preview carefully before purchase to determine if it contains the information you need. View the whole set in the preview. 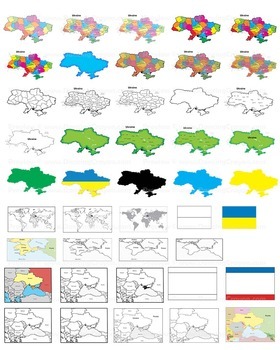 These maps of Ukraine were last edited June, 2015. High quality images: 300 dpi. Images are an assortment of PNG and JPEG files. 25 images total. You may use these map graphics for commercial use, including in your TpT products. No credit is required for use of our map clip art range. Would you like access to our ENTIRE “Maps of the World” clip art collection for one CRAZY low price? Click here and read about our MEGA-MAP BUNDLE!